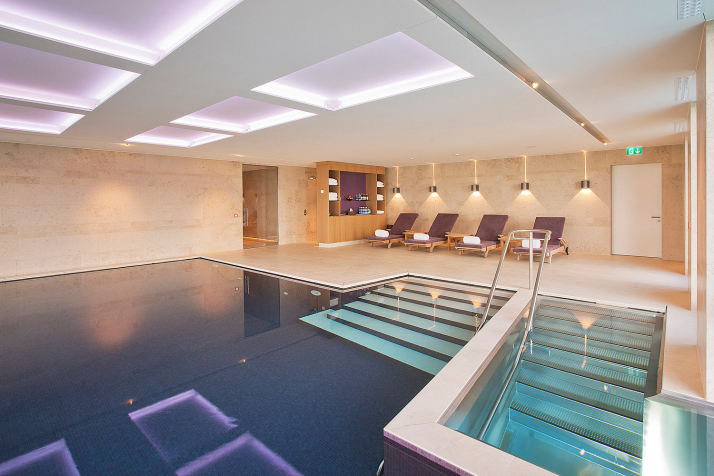 After a stressful week at the office, there’s almost nothing better than a relaxing weekend getaway at a spa hotel. Ideally, it shouldn’t be located too far from where you live so you don’t loose too much time with traveling, but still you get the chance to flee from the rush of the city for a little while. Book yourself a massage or two, chill in the whirlpool, sleep in and indulge at a big breakfast buffet. Sounds good? 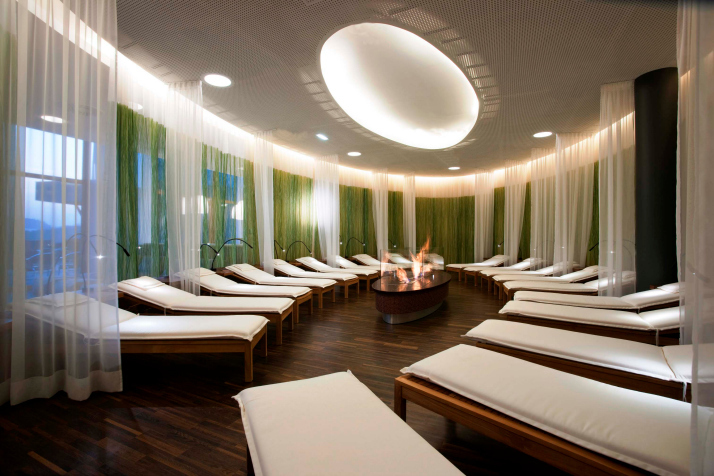 Well, here are some of our favorite options – 5 great spa hotels in Central Europe! The Balance Resort & Spa is part of the Falkensteiner Group and located in the beautiful vineyards of southern Burgenland. 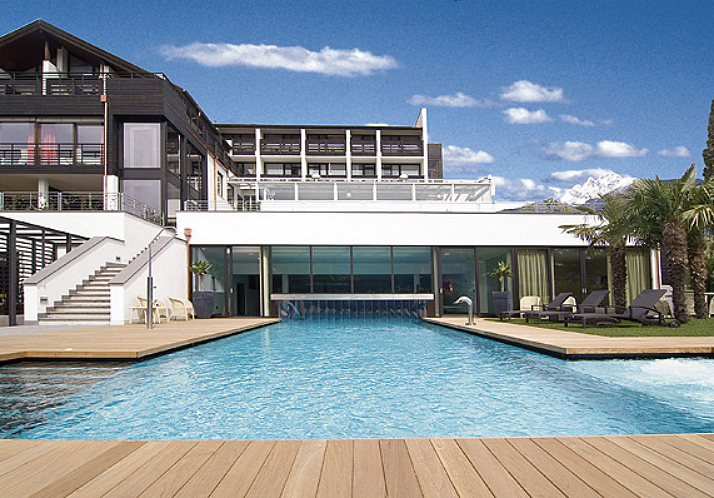 With an amazing infinity pool overlooking the hills, a wide range of spa services and a high class, 5-course dinner (that can be customized for the guests – the hotel is also very well known for its metabolic diet program) it has it’s deserved spot amongst the best wellness hotels in Austria. As you might have seen if you follow us on Instagram or Facebook, we had the pleasure of testing the facilities ourselves this weekend – a detailed travel diary will follow later on this week. Set against a stunning alpine backdrop and overlooking the beautiful Tegernsee, this hotel is the perfect choice for a relaxing getaway if you live somewhere in Bavaria. An indoor and outdoor pool, a spa area with puristic but at the same time cozy design, lots of beauty treatments to choose from and the possibility of taking long hikes outdoors makes it more than appealing to visit. 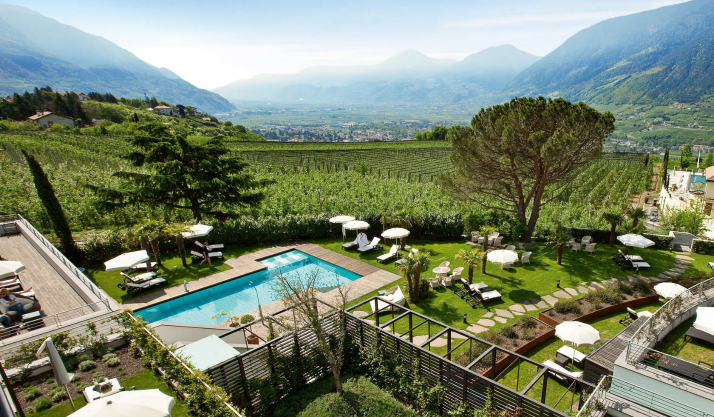 Hotel Gartner near Merano in South Tyrol is pretty much heaven on earth for nature lovers. 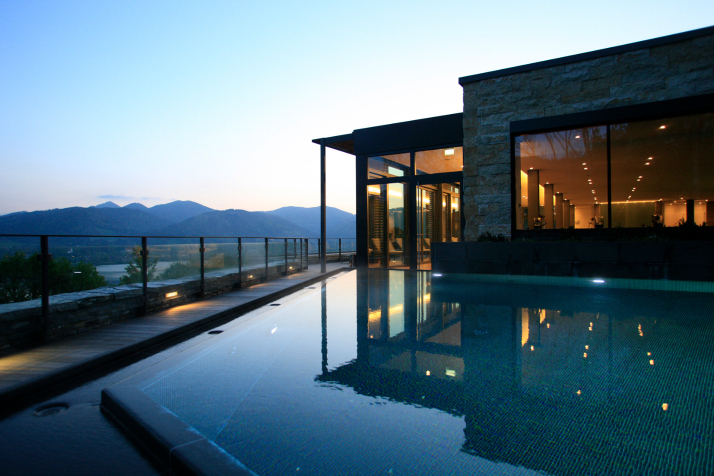 It is located on a hill, overlooking a Mediterranean park with exceptional view over Merano. 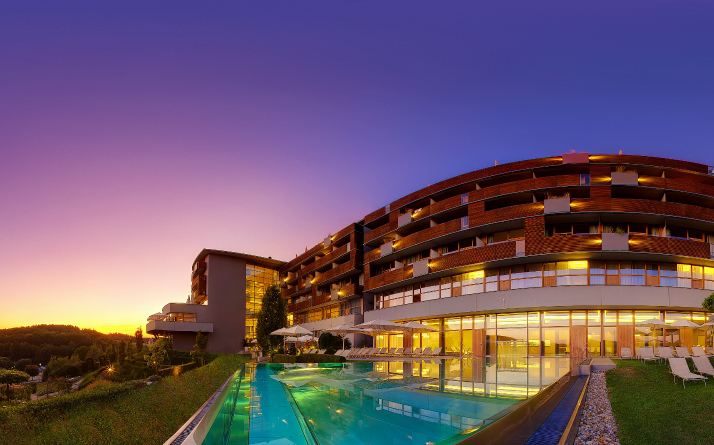 The pool connects the new SPA with the Mediterranean garden, the outdoor whirlpool and the wide wooden terrace for sunbathing. A lot of different room types and dining options make the stay convenient for everyone. 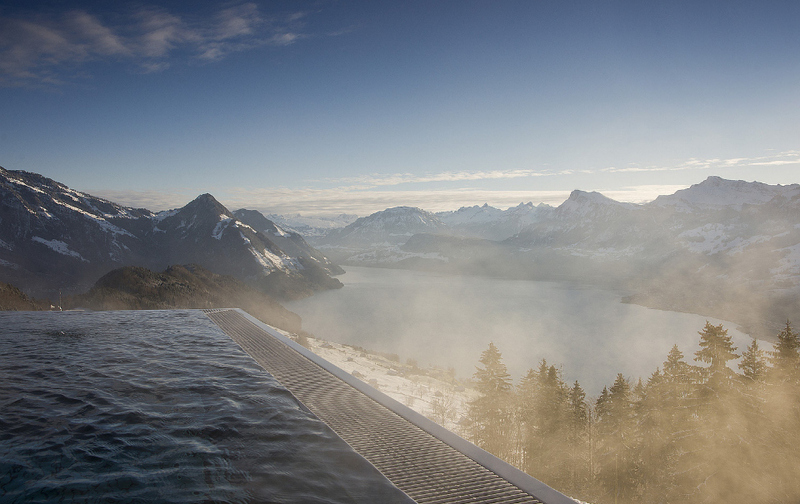 Of all of the amazing outdoor pools we’ve found, this one probably has the most stunning view of all. 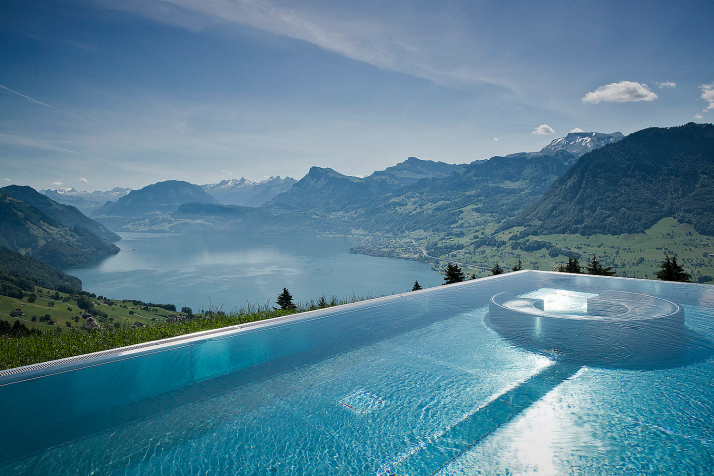 Hotel Villa Honegg is located near Luzern in Switzerland, overlooking the “Vierwaldstätteersee”. It is an old, refurbished Villa with the flair of bygone times but not lacking the comforts of a modern spa resort. Definitely a very special place to relax. 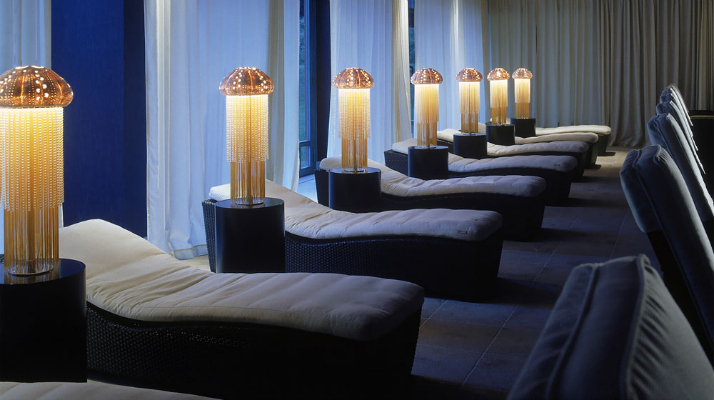 La Reserve is rated as the best spa hotel for anti aging treatments, but could easily win the other categories as well. 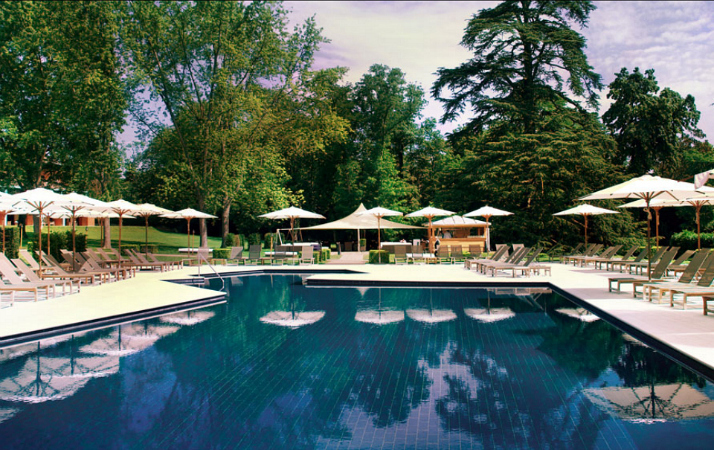 The hotel, as the name already gives away, is located near Geneva and known as one of the most mythical resorts worldwide. It’s spa area is more than 2000 sqm big and if the weather allows it, you can relax in the beautiful outdoor area or indulge at one of the 5 restaurants. 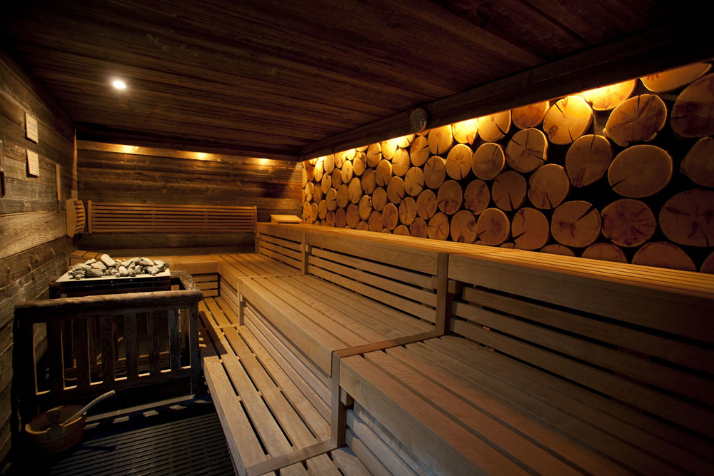 Do you know any spa or wellness hotels in Central Europe that are worth a trip? We’d love to know where you’ve stayed – simply leave a comment below! das Pristeregg kennen wir schon, aber leider muss man da ja mehr als ein Jahr im Voraus reservieren … das ist für einen spontanen Weekend-Trip nicht so praktisch :) Aber das Hotel Gams müssen wir uns mal genauer anschauen.